When we last spoke about Galaxy Note 5 and its hardware specifications, we had reported that the upcoming smartphone, had been codenamed ‘Project Noble’, and had been leaked to sport an Exynos 7420 SoC, along with 4 GB of RAM. Well, turns out that those leaks have yet to be changed by another other source because the upcoming flagship phablet is going to be sport the aforementioned hardware specifications, coupled with others that would actually have made the device a bitter disappointment. According to popular leakster Evleaks, we have got a glimpse of what to expect from Galaxy Note 5. The details presented in the image below state that the phablet sized smartphone is going to sport a 5.66 inch screen size that will be radiating the 1440p resolution. The screen size is slightly smaller as compared to Galaxy Note 4 and Galaxy Note 3, so let us hope that the device is stacked with a large battery pack. According to our previous report, we stated that Galaxy Note 5 was going to sport a 4,100 mAh battery. Let us hope that this information turns out to be true. On a sadder note, the information states that the device is not going to sport a MicroSD card slot, and will come with 32 GB of on-board storage. 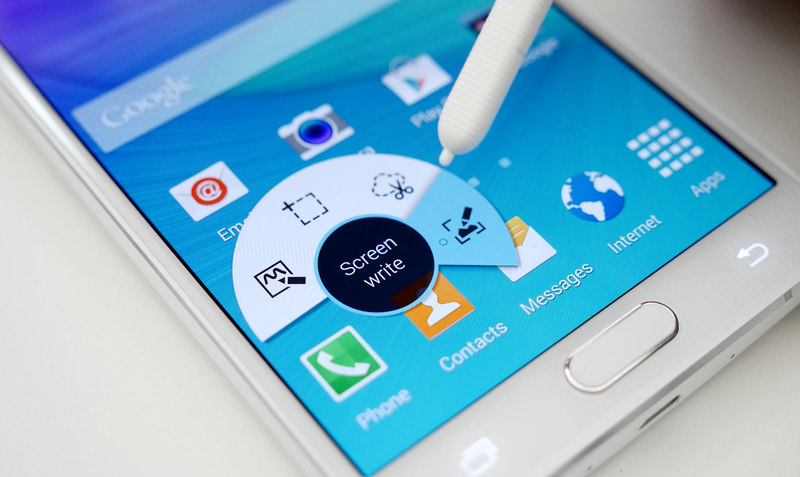 Looks like Samsung is going to replicate the same act that it did with its Galaxy S6 family. Samsung, in the end, do not blame us when you have a reduced smartphone fan base wanting to purchase your products. As for the operating system update, Galaxy Note 5 is going to be running Android 5.1.1 out of the box. A more delightful sight would have been the smartphone running Android M, but its official release will be taking place later in the year. As for the rear and front camera sensors, Galaxy Note 5 is going to feature a 16 MP rear one and a 5 MP front one. Details on which company the camera sensors would belong to have not been stated but in order to reduce dependency on other firms such as Sony, we expect that a later batch of Galaxy Note 5 would be arriving sporting Samsung’s own camera sensor tech. Like always, you guys should take this information with a grain of salt and wait for details to come in for the specification details of Galaxy Note 5. Stay tuned for more updates.